salmon | Eat. Read. Ask. Do. Be. 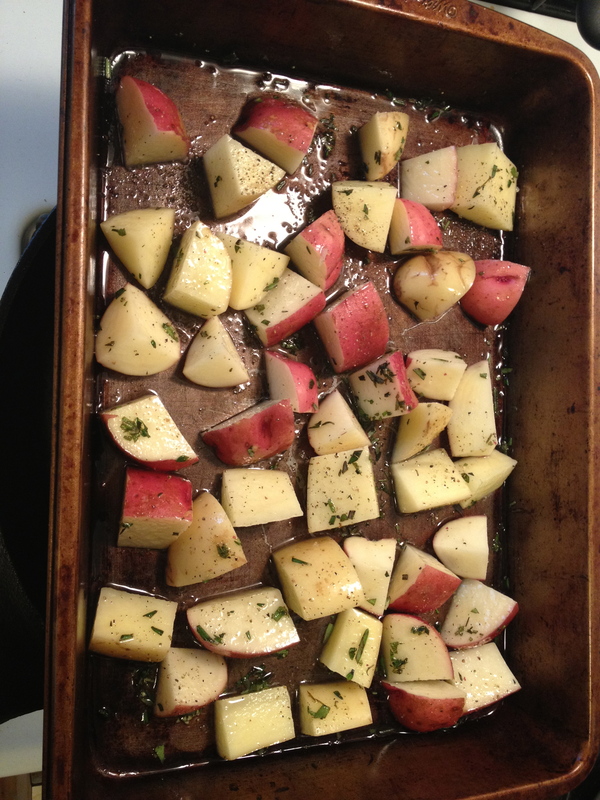 Mix potatoes with olive oil, rosemary, thyme and sage. Then into a 450 degree oven. 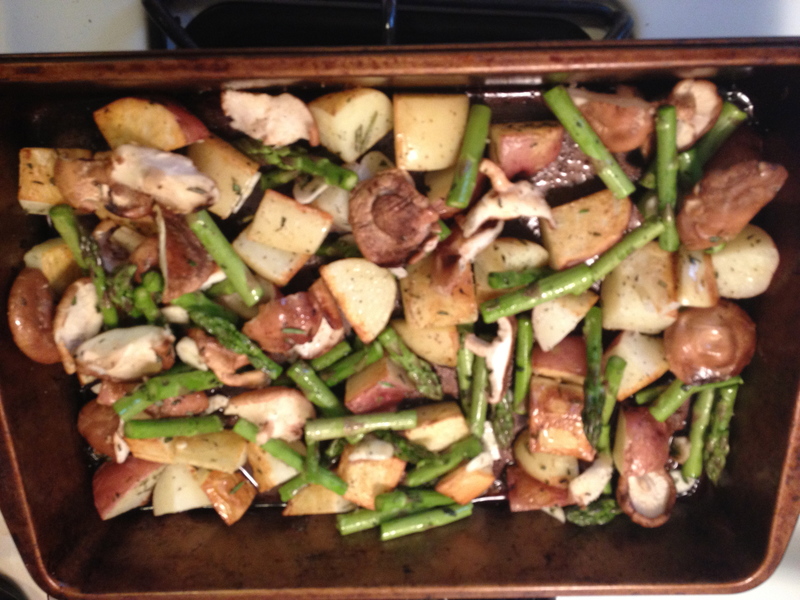 After 20 minutes, add the mushrooms, then 10 minutes later, add the asparagus and garlic. I rubbed the salmon with lemon, then topped it with a mixture of: 1 tsp olive oil, 1 tsp dijon mustard, 1 tsp whole grain mustard, 1/2 tsp rosemary, 1/2 tsp thyme, some breadcrumbs and a little parmesan cheese. You can either take the side dish out or leave it in when you put the salmon in (depends on how well-done you like veggies), but the salmon goes in at the same temperature (450) for about 12-15 minutes. A little tip: just keep an eye on it, a minute or two can make or break the doneness of this delicate fish. 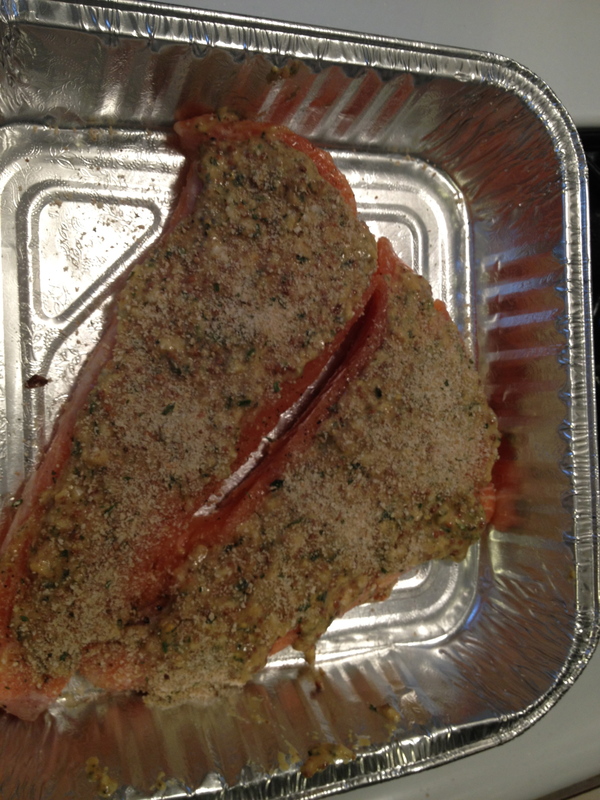 Top salmon with mustard, rosemary, thyme, breadcrumbs, and parmesan cheese (optional). It’s silly that I captioned the photo “cheese (optional)” because everything on this blog is “optional.” I view all recipes as merely jumping off points, ripe for adjustments and modifications. I do hope you’ll view these recipes in a similar manner. Remember: Can’t nobody teach you how to do you; you just gotta do you. Delicious + Healthy = WINNING! This was a very busy weekend for anyone who celebrates either Passover or Easter and an especially busy weekend for people who celebrate both! In my case, we celebrated two Seders and an Easter dinner, all of which were very special. 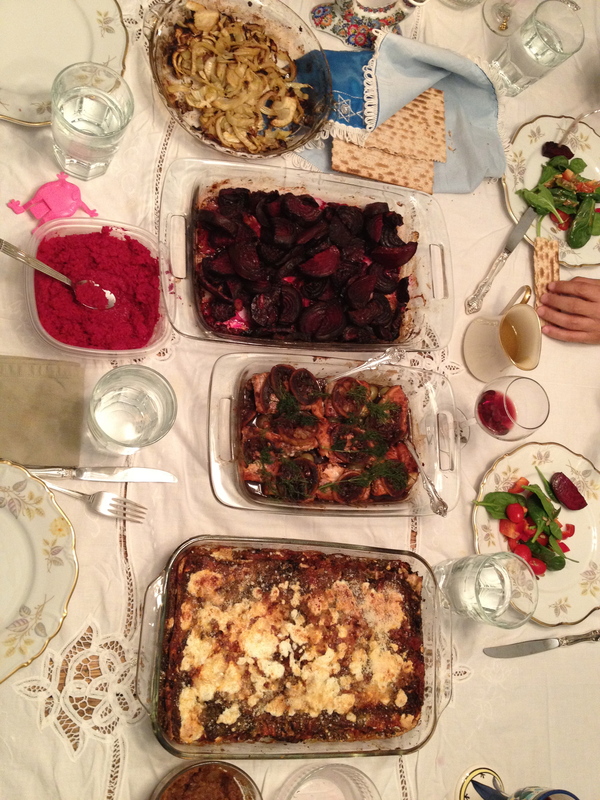 The first of these, a Seder for the first night of Passover, was at the home of my mother and father-in-law-without-nuptiuals, who knowing my love of cooking, were gracious enough to let me help them cook! Mazel Tov to me! 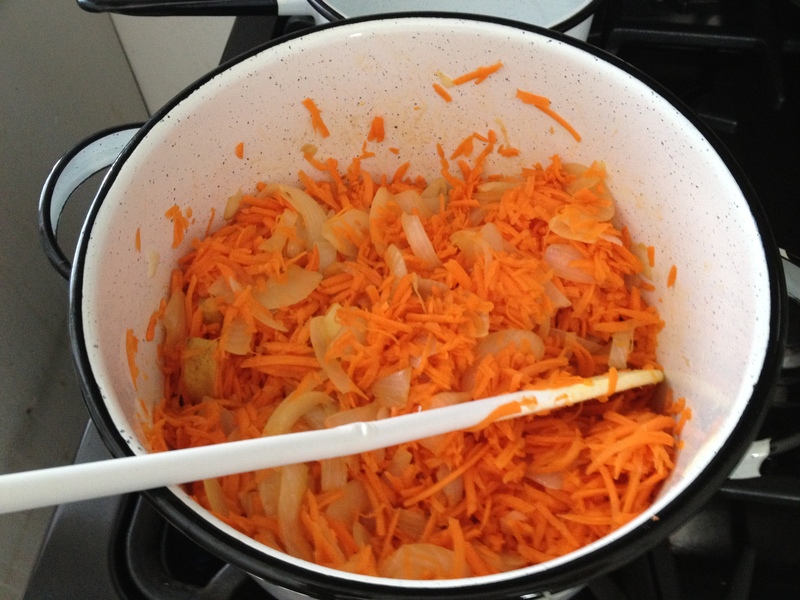 First the veggie stock: onions, carrots, parsnips, water. Let simmer. 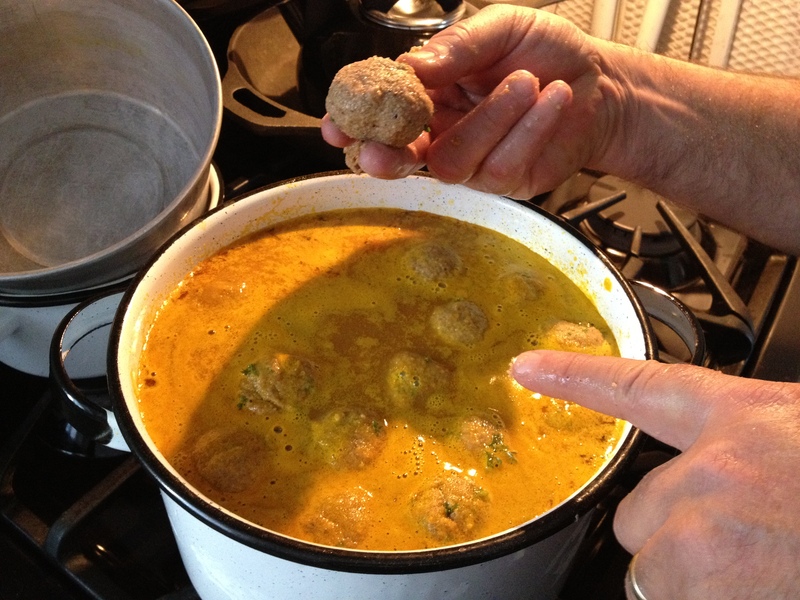 Then drop in the matzah balls and let them expand in the liquid. First we made the matzah ball soup. I got the honor of mixing the matzah balls, which we made whole wheat and I also tended to the stock, which was completely veggie. 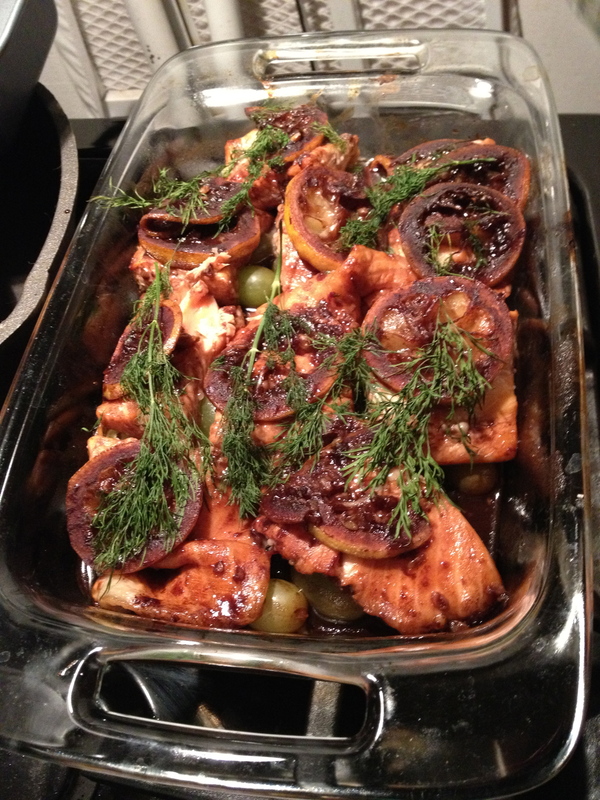 Salmon marinated in a balsamic reduction with lemons and herbs. I got tricked into cutting up the beets... purple hands all night. 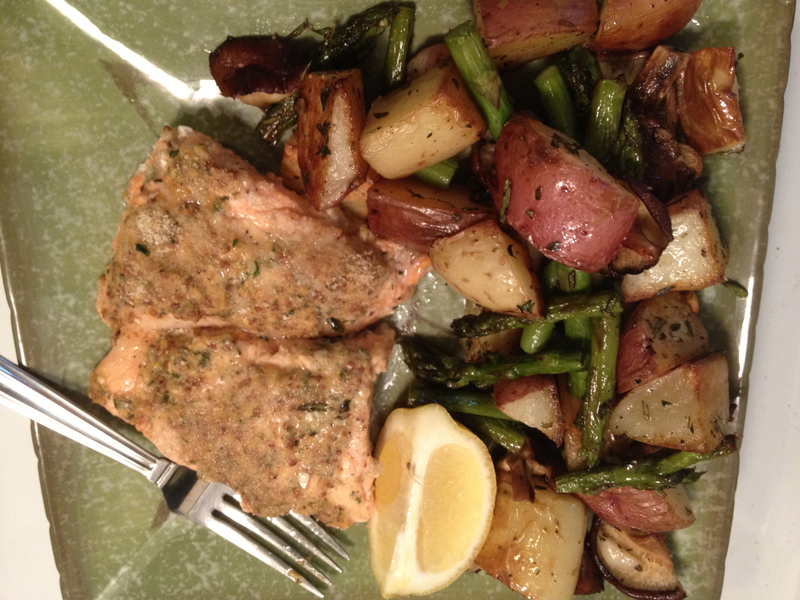 The salmon was the only non-veggie item at this seder and it was tender and delicious. 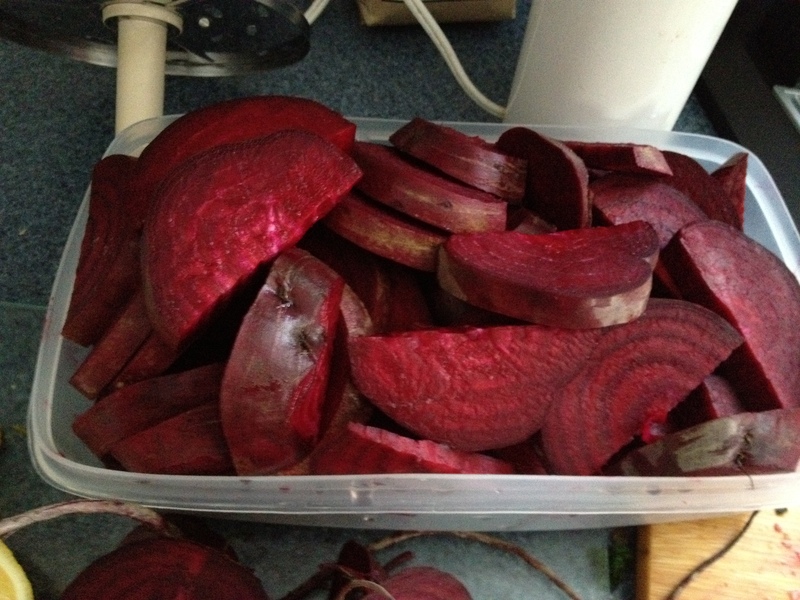 These beets were also used to paint the horseradish red. A little tip, by the way, about dealing with fresh horseradish: open a window, open a door, get some goggles and warn the household, cause that stuff is NO JOKE. 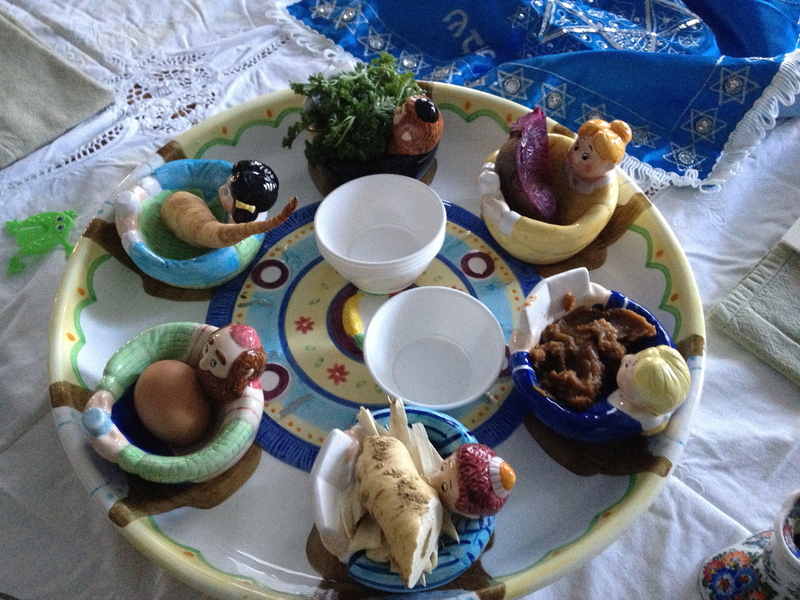 This is the cutest seder plate all filled in. So lovely! I hope you all enjoyed your holiday weekend and whatever traditions you observe! L’Chaim!